Custom made, punk style, leather strap. Made from premium 7 ounce, single bend leather. Each piece is hand dyed, tooled, oiled, distressed and finished in house by our leather makers. This piece can be customized at no additional charge with your custom logo, date, name, initials, etc. at no additional charge. 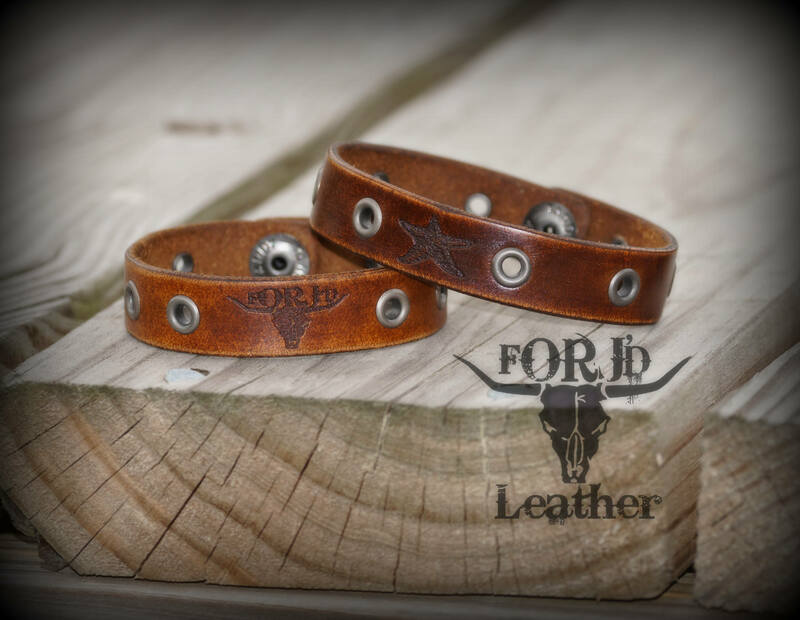 If no customization is requested this bracelet comes with the eyelets only. Our leather is laser measured for accurate spacing and sizing. This strap is available in light distressed, dark distressed, and black. Contact us for bulk pricing.